We’d love your help. Let us know what’s wrong with this preview of İkigai by Hector Garcia Puigcerver. Aceleci davranmamanızı, hayat gayenizi keşfetmenizi, ilişkilerinizi canlandırmanız Uluslararası çoksatan bir rehber olan Ikigai’yle her gününüz bir anlam kazansın. To ask other readers questions about İkigai, please sign up. I have to wonder about the merit of the book that somehow ties being Japanese to being happy, and cites "always being busy" as the key to longevity and bliss. I hope the author knows that Japanese culture is the only one (at least to my limited knowledge) that has a word for death from overworking, and has some of the highest suicide rates from stress and impossible performance standards. How is this addressed? I kind of feel bad panning this book, because I think helping people find their ikigai -- or their purpose in life -- is a worthwhile goal. The problem is, I have to think that the author and his publisher know that this book doesn't come anywhere close to achieving that goal. Instead, this book is a jumbled mess. It borrows heavily from the work of others, from Victor Frankl to the guys studying flow states, slaps on a thin veneer of received wisdom from Japanese octogenarians and attempts to pas I kind of feel bad panning this book, because I think helping people find their ikigai -- or their purpose in life -- is a worthwhile goal. Instead, this book is a jumbled mess. It borrows heavily from the work of others, from Victor Frankl to the guys studying flow states, slaps on a thin veneer of received wisdom from Japanese octogenarians and attempts to pass the whole thing off as a guide for living. And when I say the veneer of Japanese culture is thin, I mean it is THIN. The author took a trip to Okinawa at some point and has some quotes from old folks there. He makes references to big cultural figures like Miyazaki and Murakami, does some hand-waving at tai-chi and green tea and calls it a day. And the whole package isn't even put together well. It repeats itself several times (did you know old people on Okinawa tend vegetable gardens? because you will hear about it!) and the structure is just a jumbled mess. Beklentimi hiçbir açıdan karşılamayan bir kitap oldu Ikigai. İçerisinde birçoğumuzun bilmediği çok az şey barındırıyordu ki onlarda Japonlara has şeylerdi zaten. Diğer anlatılan her şey bir şekilde kulağımıza gelmiş olan, okuduğumuz ya da büyüklerimiz tarafından bize söylenen şeylerdi. Bu açıdan bana bir şeyler katan bir kitap olmadı. Kitap boyunca devamlı başka kitaplardan alıntılama, o kitaplardan verilen örnekler üzerinden ilerleme vardı. Ve bu beni bi yerden sonra rahatsız etti çünkü başka ki Beklentimi hiçbir açıdan karşılamayan bir kitap oldu Ikigai. İçerisinde birçoğumuzun bilmediği çok az şey barındırıyordu ki onlarda Japonlara has şeylerdi zaten. Diğer anlatılan her şey bir şekilde kulağımıza gelmiş olan, okuduğumuz ya da büyüklerimiz tarafından bize söylenen şeylerdi. Bu açıdan bana bir şeyler katan bir kitap olmadı. Kitap boyunca devamlı başka kitaplardan alıntılama, o kitaplardan verilen örnekler üzerinden ilerleme vardı. Ve bu beni bi yerden sonra rahatsız etti çünkü başka kitaplardan kırpılan bilgilerin derlemesini okuyor gibi hissetmeme sebep oldu. Üstelik kitap Japonların uzun yaşam sırrını bir şekilde bize aktarmaya çalışsa da mutlu yaşam sırrını aktaramamıştı. Bu tarz bir şeyi okuduğum zaman hayatıma nasıl uygulayacağımı da bana örneklendirmesini isterim, bu kitapta bunu bulamadım ben. Yani işin özü biraz şişirilmiş bir kitap olduğunu düşünüyorum. I could live with the fact that every idea about the Western approach to finding a purpose in life is taken from Frankl, Taleb and a few others. With no personal contribution from the authors. But to claim that you interviewed 100 people from Okinawa and to present your readers with no more than 5 pages of random (and in no way revealing, profound or even interesting) quotes from these interviews...that is just disrespectful. To the reader and to the interviewees. This book has nothing to do with Ikigai. Honestly it should've been titled How to Live a Long Life like an Okinawan. 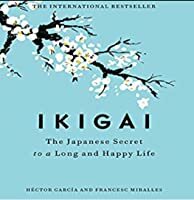 The book's title is a little misleading: while it does talk about ikigai, it also talks about what things are connected to it, and the main point is on having a long, happy, healthy(ish) life, as seen from the (mostly) Okinawan way of life. The authors traveled to Ogimi, which is in Okinawa, Japan, and spent time there interviewing and observing the oldest people, who all seemed to have this ikigai (the reason to get up in the morning), a joy of life and very active daily activities. The chapters The book's title is a little misleading: while it does talk about ikigai, it also talks about what things are connected to it, and the main point is on having a long, happy, healthy(ish) life, as seen from the (mostly) Okinawan way of life. The authors traveled to Ogimi, which is in Okinawa, Japan, and spent time there interviewing and observing the oldest people, who all seemed to have this ikigai (the reason to get up in the morning), a joy of life and very active daily activities. The chapters talk about things like the state of flow, logotherapy and morita-therapy which both can well connect to the ikigai-concept, on being active, what one should eat, exercises, and facing problems and change. Each chapter seems to add and/or comment something to the main idea, and one chapter focuses on the people of Ogimi itself. Όποιος είναι έτοιμος να κερδίσει κάτι από ένα βιβλίο θα βγει σίγουρα κερδισμένος και με αυτό το βιβλίο! Η επανάληψη δεν έβλαψε κανένα! Ikigai is a Japanese concept that translates to 'reason for being'. Until picking this book up on a whim (the cover was pretty, and I am easily sold on pretty books), I had never really heard of this idea, so this book acted as my introduction. - This book was simply written and concise (for the most part), with little emphasis on flowery or pretentious writing, thus making for a quick and easy read. - The cover of this book is stunning. It's 100% why I picked the book up. - As someone wh Ikigai is a Japanese concept that translates to 'reason for being'. Until picking this book up on a whim (the cover was pretty, and I am easily sold on pretty books), I had never really heard of this idea, so this book acted as my introduction. - As someone who was unfamiliar with Ikigai, this was a fair introduction, which covered a lot of the fundamental aspects in just the right amount of detail to keep me interested, without overwhelming me. I think that a lot of the negative reviews come from people who already knew and understood Ikigai, so perhaps this book would be better marketed as Ikigai for Beginners? - I don't know if the authors were trying to cover too much in one book here; ideas and concepts were thrown in for a paragraph (or even simply named-dropped), and the focus of the book jumped around from sentence to sentence. I feel like more focus on Ikigai as a concept was needed as opposed to Ikigai and Okinawa and mindfulness and tai chi and yoga and Morita therapy and every type of meditation etc. etc. - The book gets repetitive towards the end. Mediation and vegetable patches appear to have a mention per page. - The book mentions a lot of case studies to demonstrates points, but none are taken past surface level. Whilst they were all interesting (view spoiler)[particularly Studio Ghibli and Steve Jobs for me personally (hide spoiler)], I would have liked to have been given greater depth and understanding of some of them in regards to Ikigai. - 'It has been scientifically shown'... OKAY SO BACK IT UP. I felt like my psychology teacher reading this book at some points, begging for some evidence or outlined research to support what the authors were saying. Instead, I got generalised, vague statements that were backed up with unnamed or missing studies. İlgi çekici ve hızlı okunabilen bir kitap. Çoğumuzun bildiği fakat her zaman uygulayamadığı güzel bir yaşam felsefesini açıklıyor. Bu konudaki kitapları hiç okumamış ve başlangıç seviyesinde olanlara tavsiye ederim. Fakat bu konuda kafa yormuş kişiler için biraz basit kalabiir. Uzun yaşayan insanlarla yapılan röportajlar ve bu konuda yapılan yorumlar kitabın en ilgi çekici yeriydi bence. Son olarak dikkatimi çeken ve beni düşünüren birkaç cümleyi paylaşmak istiyorum. "Güzelliği mükemmellikte değ İlgi çekici ve hızlı okunabilen bir kitap. Çoğumuzun bildiği fakat her zaman uygulayamadığı güzel bir yaşam felsefesini açıklıyor. Bu konudaki kitapları hiç okumamış ve başlangıç seviyesinde olanlara tavsiye ederim. Fakat bu konuda kafa yormuş kişiler için biraz basit kalabiir. Meh. It's really just a recap of The Blue Zones of Happiness with emphasis on the Okinawa aspect. The quote I find most disconcerting, after reading the entire book, is "There is no perfect strategy to connecting with our ikigai"....but (what we learn from the Okinawans) is "don't worry too much about finding it." But then, in the next and final page, they say, "if you don't know what your ikigai is yet, as Viktor Frankl says, your mission is to discover it." So which is it? And aside from exerci Meh. It's really just a recap of The Blue Zones of Happiness with emphasis on the Okinawa aspect. The quote I find most disconcerting, after reading the entire book, is "There is no perfect strategy to connecting with our ikigai"....but (what we learn from the Okinawans) is "don't worry too much about finding it." But then, in the next and final page, they say, "if you don't know what your ikigai is yet, as Viktor Frankl says, your mission is to discover it." İkigai; sabah uyanmak için kendinize bir sebep bulmak anlamına geliyormuş. Kitap enteresan bir şekilde dikkatimi çekti ve kolay, akıcı bir şekilde okudum. Uzun zaman yaşamış insanlarla yapılmış röportajlar, onlardan uzun yaşama sırlarının anlatıldığı bir kitap. Çok mantıklı bir şey, ama hayat şartları kendi "ikigai"ni bulmaya izin vermeyebilir! Quick review for a quick read. I definitely like the concept of "ikigai" and looked forward to learning more about the concept based on the description this book gave. However, upon finishing this - I felt that some of the advice was helpful, but very generalized and unfocused in this book. You get tidbits of insight on Japanese culture here, but it's more in the eyes of the authors experiencing the culture than it is direct voicing from the culture itself. That's a problem when you're trying to Quick review for a quick read. I definitely like the concept of "ikigai" and looked forward to learning more about the concept based on the description this book gave. However, upon finishing this - I felt that some of the advice was helpful, but very generalized and unfocused in this book. You get tidbits of insight on Japanese culture here, but it's more in the eyes of the authors experiencing the culture than it is direct voicing from the culture itself. That's a problem when you're trying to directly center on aspects which are unique to a specific culture - it shouldn't be told through a lens that's summarized and doesn't give a true backstory. I felt many of the concepts here were helpful ones from a health perspective, but it still wasn't concrete enough for me to feel like it was supported by research, experience, or cultural insights. It's a quick read and doesn't take much time at all to get through, but I would encourage others to - if you're going to pick this up - seek out other narratives that explain the concept of "ikigai" - this only scratches a small surface, and the experience is a bit unfulfilling at the potential opportunities the narrative could've used to dig deeper. I just got my Japanese pension book in the mail today, but won't be able to use it for a good 20 years yet, so staying alive for a long time suddenly just became a bit more real for me: to get all my pension payments back I'll need to be around for a good 30 more years at least. And the advice presented here seems irrefutable: eat more fruit and veg; drink less alcohol; do a bit of exercise everyday; don't sweat the small stuff; don't sweat the big stuff; hang out with your loved ones everyday; I just got my Japanese pension book in the mail today, but won't be able to use it for a good 20 years yet, so staying alive for a long time suddenly just became a bit more real for me: to get all my pension payments back I'll need to be around for a good 30 more years at least. And the advice presented here seems irrefutable: eat more fruit and veg; drink less alcohol; do a bit of exercise everyday; don't sweat the small stuff; don't sweat the big stuff; hang out with your loved ones everyday; and find a pursuit, however large or small, that gives meaning to your life. Stay active doing that. And push yourself doing it, but just a little. Oh, and get plenty but not too much sleep, and don't eat too much. Is it that simple and obvious to live to a ripe old age? Probably. Sounds reasonable to me, but you could hardly call this book a thorough analysis of why the Japanese live such a long and happy life, as the subtitle proclaims, or even if they do. One cherry-picked scientific quotation here, one Nassim Nicholas Taleb theory there, sprinkled with a couple of anecdotes from old folks in Okinawa do not constitute scientific evidence. I'm sure regular, high quality healthcare plays the most significant role too. But still. It's a nice, pretty hardback to own and won't take more than a couple of hours to read, especially if you skip the exercise sections and flip to the 10-point summary on page 184. Having read a good number of self-help books in the past and not being too inspired by any of them, I was kind of reluctant to pick this one up. But there was something so soothing and inviting about the cover-the depiction of Japanese cherry blossoms because of which I decided that maybe it was worth a shot. Believe me, I was not disappointed. Ikigai is a treasure trove of life’s secrets. It posits a series of precise and workable solutions for people who might feel that their life lacks a purpose. But this book isn’t just going to help you find your purpose. It also talks about finding your “flow” and how staying active and occupied is the key to longevity and a happy life. Ikigai cites a good deal of solid research (with recommended reading on the last page) and therefore it does not come across as preachy or sermonising. It is simply straightforward and factual. The chapters are short and a lot of the tips come in the form of bullet points. There are whole sections of the book that are dedicated to healthy eating, exercise, and the art of living, among many other useful topics. The work centers around a study that was carried out on residents of the Japanese city of Okinawa. Ikigai is mostly about what we can learn from the lifestyles and personal philosophies of the many supercentenarians who live in this town. It is an inspiring read and a lot of its arguments have their basis in solid fact. This helps the book come across as authentic and hopeful. I really felt that this book has the potential to change people’s lives and I plan on reading it again. Unlike other self-help books, Ikigai is a study of real-life examples. It also provides key insights into some very positive aspects of Japanese culture and lifestyle. So if you’re a fan of Eastern tradition and all things Japanese, I’m sure you’ll enjoy this book. -The fact that it does not give you advise. It is simply outlining things that have previously worked for a certain set of people in the East. -It offers an unconventional solution to extending one’s life-span, i.e., staying busy. -The book celebrates aging and regards it as an enriching process. Each year we are growing older but we must remember that life is actually providing us more time to dwell on our passions. -This is a feel-good read and one that surely has something for everybody to take away. I bet on the fact that every reader will make the effort to change something about his/her lifestyle (no matter how small) after reading Ikigai. -The book is a thesis based on the reality of life. It cites contemporary examples from recent history like the Tsunami that affected Fukushima power plant and asks us to think about what we can learn from them. -Ikigai asks readers to focus on their inward journey which I think is very important in the fast-paced technology-driven existences that we all lead. On the whole, I would rate this book 5/5 stars for the effective treatment of its subject matter. I also appreciate the fact that the writers have put things across quite simply and this makes the book an accessible read. In short, Ikigai is like a breath of fresh air. If you don’t read it you’re probably missing out! Kişisel gelişim kitaplarını sevmem. Bu kitabı Japon kültürüne dayandığı için merak ettim. Hiç ilgimi çekmedi. İki yıldız bir kaç örnek için. Este libro era justo lo que necesitaba en este momento. Un cambio de perspectiva, un nuevo rumbo y ganas de avanzar. En épocas de cambio me gusta buscar inspiración en este tipo de libros, más didácticos y que te enseñan cosas nuevas. En este libro se presentan ideas y filosofías que han ayudado a la población japonesa a llegar a cumplir más de cien años. Analiza desde la d Este libro era justo lo que necesitaba en este momento. Un cambio de perspectiva, un nuevo rumbo y ganas de avanzar. Kitap ciddi araştırmalara dayanmayan, toplama bilgiler üzerine kurulu. En uzun yıllar yaşayan insanlar nasıl başardılar sorusunun cevabını bir kaç maddede özetlerken, sushi yedikleri yanıtını verecek kadar gereksiz detaylar sunmuş. Erken kalkın, bol bol yürüyün, kendinizi önemseyin tarzı klasik öğütlemeler derlemesi . Oldukça başarısız. Ikigai is a Japanese concept that means "a reason for being." It is similar to the French phrase Raison d'être. Everyone, according to Japanese culture, has an ikigai. Finding it requires a deep and often lengthy search of self. Such a search is important to the cultural belief that discovering one's ikigai brings satisfaction and meaning to life. Examples include work, hobbies and raising children. The term ikigai compounds two Japanese words: iki meaning "life; alive" and kai "(an) effect; (a) result; (a) fruit; (a) worth; (a) use; (a) benefit; (no, little) avail" "a reason for living [being alive]; a meaning for [to] life; what [something that] makes life worth living; a raison d'etre". In the culture of Okinawa, ikigai is thought of as "a reason to get up in the morning"; that is, a reason to enjoy life. The word ikigai is usually used to indicate the source of value in one's life or the things that make one's life worthwhile. Secondly, the word is used to refer to mental and spiritual circumstances under which individuals feel that their lives are valuable. It's not necessarily linked to one's economic status or the present state of society. Even if a person feels that the present is dark, but they have a goal in mind, they may feel ikigai. Behaviours that make us feel ikigai are not actions we are forced to take—these are natural and spontaneous actions. "people can feel real ikigai only when, on the basis of personal maturity, the satisfaction of various desires, love and happiness, encounters with others, and a sense of the value of life, they proceed toward self-realization." According to the Japanese, everyone has an ikigai—a reason for living. And according to the residents of the Japanese village with the world’s longest-living people, finding it is the key to a happier and longer life. Having a strong sense of ikigai—the place where passion, mission, vocation, and profession intersect—means that each day is infused with meaning. It’s the reason we get up in the morning. It’s also the reason many Japanese never really retire (in fact there’s no word in Japanese that means retire in the sense it does in English): They remain active and work at what they enjoy, because they’ve found a real purpose in life—the happiness of always being busy. In researching this book, the authors interviewed the residents of the Japanese village with the highest percentage of 100-year-olds—one of the world’s Blue Zones. Ikigai reveals the secrets to their longevity and happiness: how they eat, how they move, how they work, how they foster collaboration and community, and—their best-kept secret—how they find the ikigai that brings satisfaction to their lives. And it provides practical tools to help you discover your own ikigai. Because who doesn’t want to find happiness in every day? The book itself is a very nice and interesting read, but does not really offer a road/ way/ route to find your ikigai. The authors just mention and briefly explain some theories that can help you there. But a good read for inspiration for a better, happier and healthier life, and who does not want that. Ik zal het boek hier even samenvatten, want het is nogal lang van stof. De enige hint in dit boek om je Ikigai te vinden, is door jezelf de vraag 'Waarom heb je nog geen zelfmoord gepleegd?' te stellen. Daar moet je bij optellen dat je gezond moet eten en voldoende moet bewegen, en in contact moet blijven met mensen om je heen, want dan word je ouder dan honderd. The last book I read on this topic was really inspiring and I couldn’t put it down. I was looking forward to reading this one and was woefully disappointed. It’s insipid, tedious and misses the point entirely. The book is a light dive into the Japanese concept of ikigai (fulfillment through knowing one's raison d'être) and into the "secrets" of supercentenarians (over 110 years) in Okinawa. I am not sure if it's the translation from Spanish to English that makes the book feel a little ... hmm, strange. But there's a honest determination to "live forever" in underneath the interest in the Japanese supercentenarians. It seems to at times equate quality of life with living forever as if it's the logical The book is a light dive into the Japanese concept of ikigai (fulfillment through knowing one's raison d'être) and into the "secrets" of supercentenarians (over 110 years) in Okinawa. I am not sure if it's the translation from Spanish to English that makes the book feel a little ... hmm, strange. But there's a honest determination to "live forever" in underneath the interest in the Japanese supercentenarians. It seems to at times equate quality of life with living forever as if it's the logical approach and doesn't seem to address any issues that might arise with people living longer and longer on this planet. Ikigai 生き甲斐 is a Japanese term for "a reason for being." The word Ikigai usually refers to the source of value in one's life or the things that make one's life worthwhile. First of all, I wish I had enjoyed this book more since it was one of my most anticipated read for this new year. I had this idea in my head that this little book would be a life changing one and that I will be able to learn a lot of useful things. Unfortunately, it wasn’t the case. 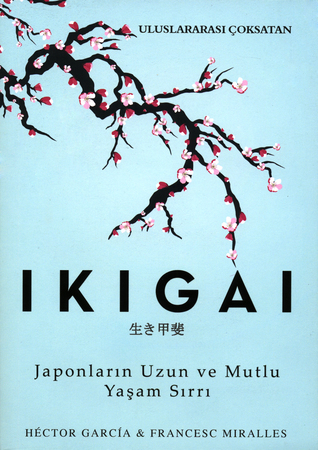 The book itself is entitled Ikigai: The Japane Ikigai 生き甲斐 is a Japanese term for "a reason for being." The word Ikigai usually refers to the source of value in one's life or the things that make one's life worthwhile. The book itself is entitled Ikigai: The Japanese Secret to a Long and Happy Life, so I was naturally expecting to read secrets, life changing facts, but instead, I just read approches to finding happiness that are in fact already well known. The only thing I enjoyed reading (and the reason I am not rating this book less than 2 stars) was the excerpts from centenarians even though I truly wished it was longer than that. Things I didn’t like : Truly expected more from this book (not as informative as I hoped it would be), misleading title, too many repetitions, felt like a superficial approach to the concept of Ikigai, and poorly structured. Since it is a short read, I still recommend you reading it and develop your own opinion. Ik weet niet precies wat ik van dit boek vond.. Aan de ene kant vond ik het heel erg leuk en zaten er echt goede lessen in, maar aan de andere kant vond ik het soms enorm zweverig.. Maar misschien komt dat ook wel doordat ik helemaal niks heb met energiestromen door je lichaam enzo. Dat dorpje met zoveel 100-jarigen vond ik wel erg inspirerend! Mooie adviezen gaven die mensen ook in de interviews die in dit boek zijn weergegeven. Het einde van dit boek bevatte veel verschillende manieren van bewegen. Yoga, tai chi en qigong bijvoorbeeld. Er werden hier ook voorbeelden bij gegeven van oefeningen, maar dit vond ik totaal niet nuttig. In mijn ogen diende dit meer als pagina-opvulling dan dat het echt nuttig was. De oefeningen had ik natuurlijk ook gewoon op internet kunnen vinden. De vele praktische tips om je ikigai te vinden en om in een flow te komen, die vond ik dan weer wel heel erg fijn! Heel mooi beschreven en veel verschillende tips. Autor de los libros sobre cultura japonesa: Ikigai y Un Geek en Japón. I'm the author of the Japanese Culture books: Ikigai, the Japanese Secret for a Long and Happy Life and A Geek in Japan.